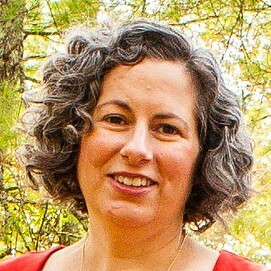 Mary Abdoney’s primary interests are library instruction, information literacy, and student outreach. She is particularly interested in the First Year Experience and the transition from high school to college. She is also the subject liaison for most of the sciences and teaches the first year seminar, DCI 180: Black Mirrors in Digital Culture. Mary has been part of the Washington and Lee University faculty since 2006, promoted to Associate Professor while granted tenure in 2012. Abdoney, Mary. 2003. “Approaches to Information Literacy: Accommodating Student Needs in Higher Education.” International Journal of Learning 10: 2715–22. ———. 2007b. “Finite Spaces: JSTOR vs. Print at Washington and Lee University.” presented at the Oberlin Group Science Librarians’ Meeting. ———. 2010a. “Student Satisfaction with the University Library: A Survey at Washington and Lee University.” Washington and Lee University. http://libguides.wlu.edu/ld.php?content_id=3467248. ———. 2010b. “Weeding the General Collection in Telford Science Library.” presented at the Science and Technology Section Assessment Committee Roundtable, American Library Association Annual Conference. http://bit.ly/alaannual2010. ———. 2011. “Report of Faculty Satisfaction with the University Library 2011.” Washington and Lee University. http://libguides.wlu.edu/ld.php?content_id=3467245.